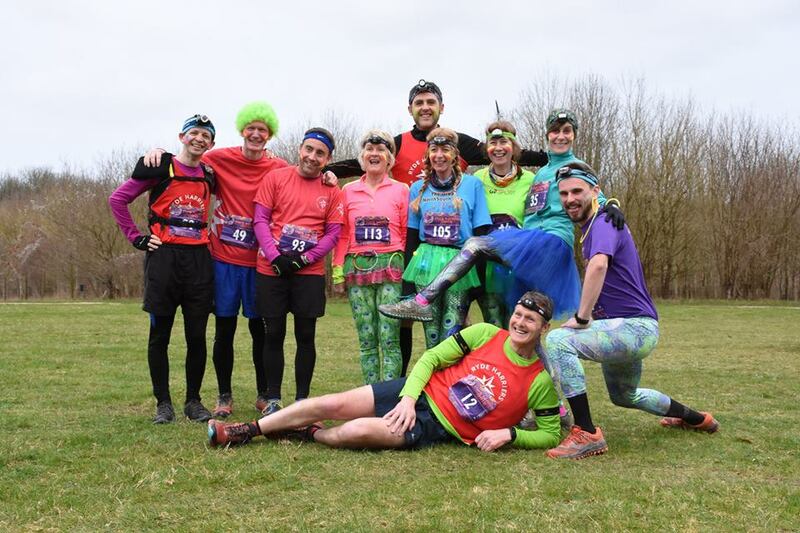 17 hill loving Harriers travelled to Wiltshire on 9th March 2019 to take part in the Larmer Tree Races hosted by White Star Running (like the GHM but a bit less SAS!) A favourite with the club every year, the 5 different runs (10 miles, 8 mile night run, half marathon, 20 miles and full marathon) are more sociable than league and road races and take in the beautiful Wiltshire countryside. 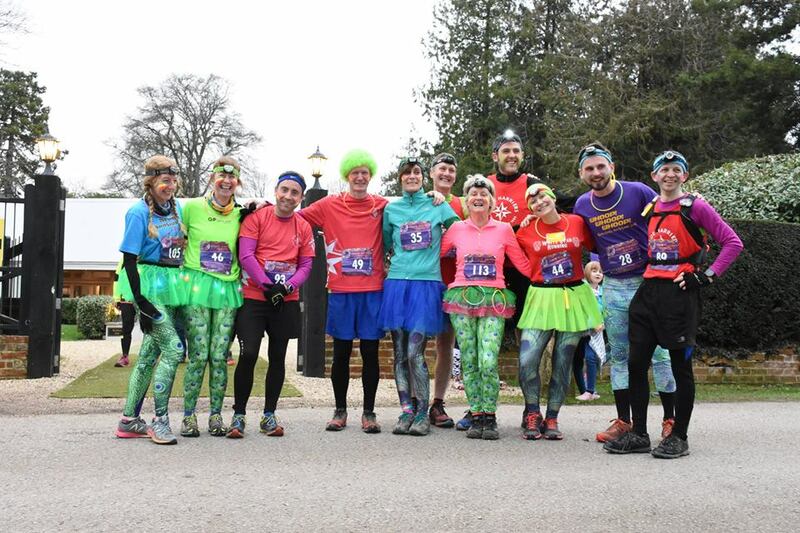 The expectation at Larmer is to frolic around on some pretty hills in fancy dress whilst earning an extremely sought after and exotic medal when the reality is – everyone comes back broken and knackered! Great hill and marathon training though if you come out the other side with your tutu intact! “Due to knee pain I had to pull out of the 20 mile Larmer race on the Sunday and swap to the Half. Keith was amazing at keeping Nat and I going. I was finding it hard on my knees from about mile 8 and towards the end he was a star at motivating us both and looping back to keep us strong up those hills. We had lots of fun and smiles running together. Nat and Keith made the run lots of fun memories. Carolyn greeted us at the end with big cheers for us all! The race was amazingly organised, people were friendly and food was great. The course was beautiful with views that went on for miles. I was really impressed with the whole thing. Sam worked hard at organising the weekend away, bless he, she is a star! Big thanks to Jo and Ken for driving Nat and myself around all weekend they are the loveliest room-mates ever!